Reading is a wonderful experience, whether you’re re-reading an old favourite or diving headfirst into a brand new novel. With so many intriguing characters, high stake situations, and amazing settings, books are possibly one of the best ways to escape into unknown worlds, and where else can you find a lot of them other than a library? These are our picks of the best libraries across the city you should definitely check out. The Delhi Public Library has quite a few branches around the city, including a Braille library, making the joy of reading accessible to most of the population. One of their larger branches is in Sarojini Nagar, with two large rooms for reference books, one for books that you can borrow, and even a separate area for kids. Though their English literature collection is not that exhaustive, they have a huge assortment of material in regional languages, including Hindi. If you do want to borrow, you’ll have to sign up to be a member at INR 20, after which you’ll be issued a borrower card. Price: Access is free of charge, membership at INR 20. If want to enjoy some alone time with free Wi-Fi (for members only), The American Library is the perfect place for you. A membership will entitle you to borrow up to six books, two back issues of periodicals and two DVD’s. A member is also allowed access to library accounts online, to create search lists, renew material and place hold requests for material. Additionally, the library also organises a wide range of events for their members, including movie screenings, art and craft workshops and book launches. Also known as the National Academy of Letters, this institution is known for promoting literature from India. A gold mine for people who are looking for works in Hindi and other regional languages, the Sahitya Akademi Library has a broad collection of books on various subjects, including literary criticism, gender studies and translation studies. With dedicated sections on Mahatma Gandhi, Rabindranath Tagore and Sri Aurobindo, this place is one for the history buffs out there. Membership Details: A deposit of INR 50 to be made for a temporary membership of 15 days and INR 2000/year. At their nominal membership fee, don’t expect some grade-A service or information. Relatively well-stocked, they’re open seven days a week and will definitely deliver, if you’re looking for an old school library and some down time. Lending is allowed, and a fine is charged if and when you lose the book. Membership will involve you physically visiting and having a card issued. Old school, we told you. Price: Starting at INR 1,000/year. If you are a fan of manga, you shouldn’t be missing out on the Japan Foundation Library, owing to their large collection of manga from various acclaimed writers and artists. They have a lot of general reference material and research info related to Japan, too, including an audio-video library. With all state-of-the-art facilities, the British Council Library is one of the best reading spaces to go to if you’ve got a reading addiction. You’ll find publication for almost all genres and categories, so pick your favourites and get to reading. It also makes for a great place to study for your upcoming exams. Price: Starts at INR 2,000. Initially established in Lahore, DSPL was moved to our very own city by the Dyal Singh Trust Society. 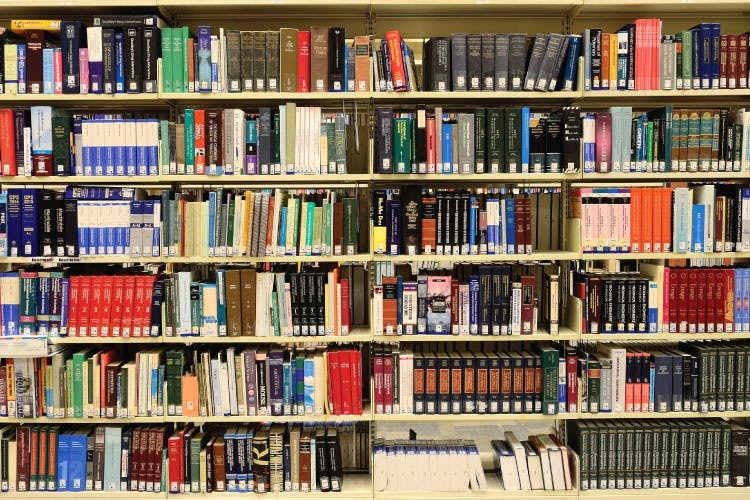 The library has a collection of 40,000 books, in the subject areas of literature, social sciences and the liberal arts. It subscribes to 100 different magazines and 32 different newspapers, so you can get your daily dose of culture and current affairs. The library also has audio and video equipment for those who need them.